Photofacial treatments are simple, convenient and quick. It is commonly used on people with noticeable Sun damage. Most people exhibit some evidence of sun damage in the form of brown spots ,Wrinkles and coarse skin texture, not just on the face, but on the neck, chest and hands. Treatment times usually takes between 15 and 30 minutes. For optimal results, it is recommended to do a series of three treatments over the span of 3 months depending on the severity of the damage. After a treatment, you can put on makeup immediately and return to your regular activities. Overall, your skin will look brighter,fresher,and more youthful. After your initial treatments, it is recommended to do a follow up 1 to 2 times a year. 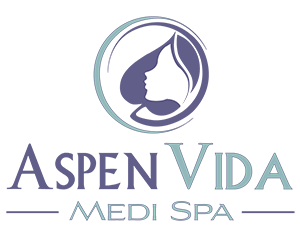 Photofacial has been proven to kill the acne-causing bacteria on the skin, and substantially improves the texture and tone of the skin. A series of four treatments spaced one week apart is recommended for the best outcome. Laser hair removal works by destroying the follicle that grows the hair. The light is attracted to dark pigment in hair and focuses in on the hair follicle. Laser hair removal works best on black or brown colored hair; light or gray hair will not attract the laser light. A series of 4 to 6 laser treatments spaced every 4 to 5 weeks is recommended to achieve optimal hair removal. Shaving ( not waxing) of the area to be treated is required the day before treatment begins. It is also recommended that one does not tan or use self- tanners when beginning the series of laser hair removal.